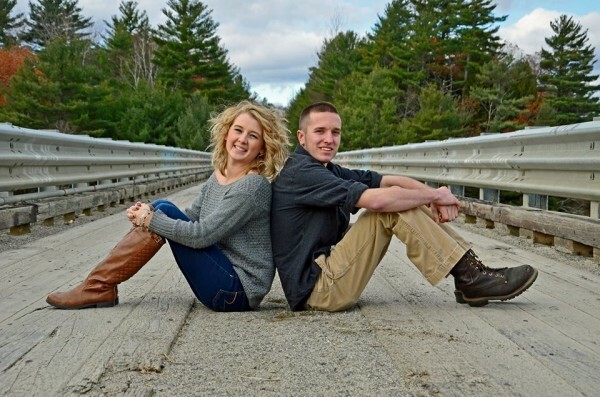 Breanne Mcintyre and John Gerald were in a motorcycle crash in May and are recovering from their injuries. Gerald suffered a severed lower left leg, and Mcintyre suffered a brain injury and a broken leg. Several fundraisers are planned. BANGOR, Maine — One week ago, the family of Breanne Mcintyre started to breathe again. They had been holding it since May 22, when “Bre” and her boyfriend, John Gerald, were in a horrific motorcycle crash in Orrington. Gerald lost part of his leg, and Bre suffered a brain injury and a broken leg. Gerald, 22, of Carmel has been released from the hospital to his home. Bre, 23, of Newburgh, still needs medical care. He was driving with a group of friends toward Brewer on Route 15, with Bre on the back of his motorcycle, when lost control of his bike near Pleasant Hill Drive. The motorcycle crossed the centerline and hit an oncoming car driven by Craig Woodard, 25, of Bucksport, who has military training and applied a tourniquet to stop Gerald’s bleeding. Bre’s mother, Sherelle McIntyre of Newburgh, has established a community Facebook page to keep her daughter’s family and friends updated on her progress. The family named the page “Bre and John Strong” and gave permission to the Bangor Daily News to reprint the posts. On Thursday, Bre Mcintyre was released from Eastern Maine Medical Center and was moved to a rehabilitation center. Friends and family have come together to raise money to help the couple while they recover. A dinner fundraiser at High Tide restaurant in Brewer last week raised $8,903, plus another $2,000 in T-shirts sales. On Monday, the Brewer Dairy Queen donated 25 percent of ice cream sales — nearly $3,000 more, according to friend Dayna White. A dance performance Thursday night at John Bapst Memorial High School included a table covered with raffle items, with all proceeds donated to the Bre and John Strong, a post about the event states. Three upcoming fundraisers are planned. At 1:30 p.m. a benefit barbecue is scheduled at the Carmel recreation field on the Five Road, which includes live music, food and raffles. The suggested donation is $5. Saturday’s charity ride starts at Brewer High School, with folks gathering at noon and the ride starting at 1 p.m. to the Carmel barbecue. The charity ride is $10 and includes the barbecue. Another event planned is a music cruise-in noon to 5 p.m. June 26 at Spectacular Events Center. The event will include music provided by Midnight Rose, Rockin’ Ron & the New Society Band, 5 Wheel Drive and The Allison Ames Band, as well as raffles and an auction.